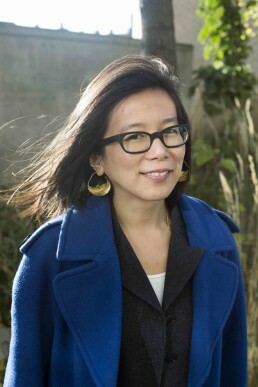 Dr Cecilia Wee is Head of Artist Development/ Artists’ Producer at Artsadmin. Cecilia is a curator, educator and researcher who grew up in Thatcher’s London, passionate about projects that investigate the role of art and design in creating a more equitable society, working with experimental sound, performance, visual art and design practices. From 2011-18, she was Tutor at the School of Communication, Royal College of Art, London, where she established the experimental design module Design Without and contributed to a number of Knowledge Exchange and Innovation projects. Notable projects include, co-founder interdisciplinary art event series Rational Rec (2005-08); co-curator Embedded Art – Art in the Name of Security, Akademie der Künste Berlin (2009); co-curator Anti Design Festival (2010); co-editor Supramarkt – How to Frack the Fatal Forces of the Capitalocene (Irene Publishing, 2015); editor Perform, Experience, Re-Live (Tate Public Programmes, 2016). Cecilia wrote her DPhil on the documentation of live art at University of Sussex. She has lectured and led numerous workshops including at Anti-University London, University of California Berkeley, and Paju Typography Institute Korea. Cecilia is Chair of the Live Art Development Agency and part of the core group behind the Radical Renewable Art and Activism Fund.